In this paper, nonlinear system identification of the activated sludge process in an industrial wastewater treatment plant was completed using adaptive neuro-fuzzy inference system (ANFIS) and generalized linear model (GLM) regression. Predictive models of the effluent chemical and 5-day biochemical oxygen demands were developed from measured past inputs and outputs. From a set of candidates, least absolute shrinkage and selection operator (LASSO), and a fuzzy brute-force search were utilized in selecting the best combination of regressors for the GLMs and ANFIS models respectively. Root mean square error (RMSE) and Pearson’s correlation coefficient (R-value) served as metrics in assessing the predicting performance of the models. Contrasted with the GLM predictions, the obtained modeling results show that the ANFIS models provide better predictions of the studied effluent variables. The results of the empirical search for the dominant regressors indicate the models have an enormous potential in the estimation of the time lag before a desired effluent quality can be realized, and preempting process disturbances. Hence, the models can be used in developing a software tool that will facilitate the effective management of the treatment operation. The authors would like to acknowledge the support of Seven-Up Bottling Company, Lagos, Nigeria for releasing the data used. Dürrenmatt, D. J., & Gujer, W. (2012). Data-driven modeling approaches to support wastewater treatment plant operation. Environmental Modelling & Software. https://doi.org/10.1016/j.envsoft.2011.11.007. Oke, E.O., Jimoda, L.A., & Araromi, D.O. (2017). Determination of biocoagulant dosage for water clarification using developed neuro-fuzzy network integrated with user interface based calculator. 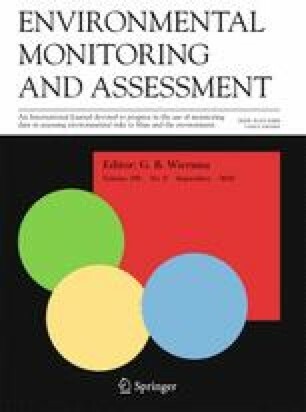 Water Science and Technology: Water Supply, ws2017241, https://doi.org/10.2166/ws.2017.241.